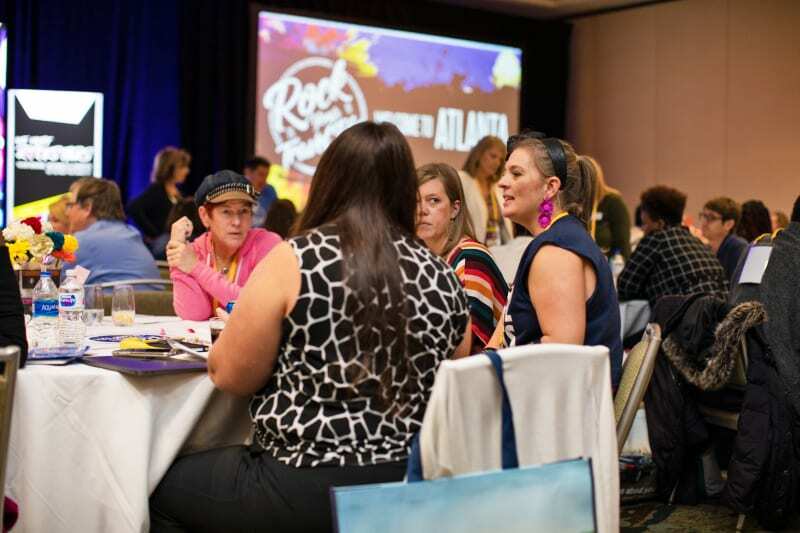 We’ve completed their first stop of five for Rock Your Travel Biz [RYTB on March 2nd in Atlanta, GA. This is the second time we’ve hosted our RYTB regional conferences as well picked Atlanta as a stop. The conference sold out with over 50 TPI agents and featured 23 suppliers! 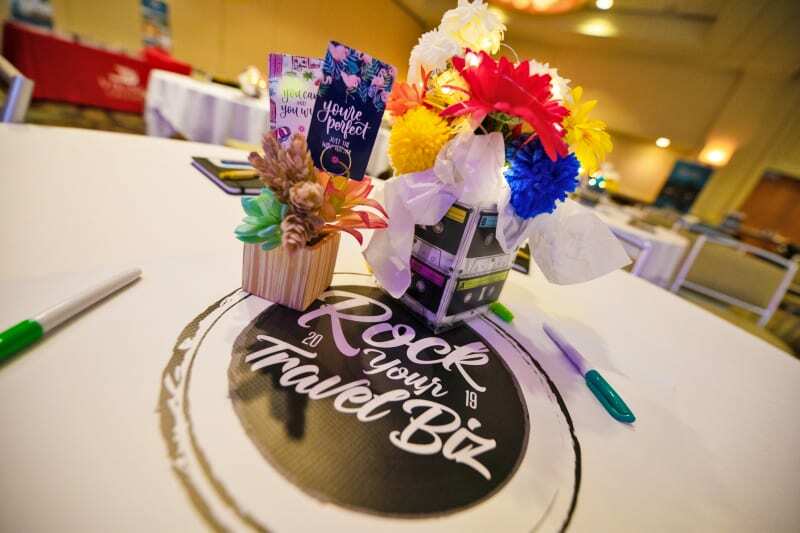 Jenn Lee, VP of Sales and Marketing, hosting Rock Your Travel Biz. Previously a two-day conference, we rebuilt RYTB as a one-day conference geared towards cementing best business-building practices. 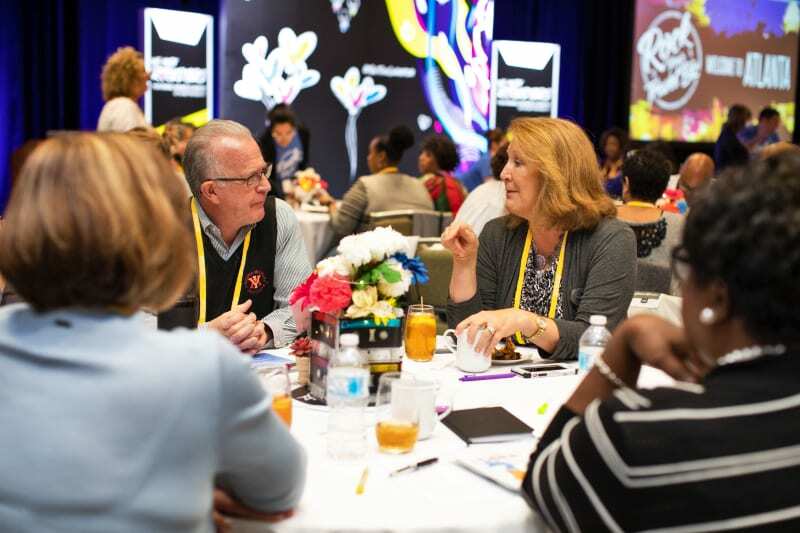 This year’s topics include ensuring profitability, understanding insurance and how to add it on, and leveraging promotions and incentives to close the deal. Lee and Valerie Gossett, TPI Platinum agent, and owner of Premier Resources Travel Group, presented on the latter subject. Two agents discussing at Rock Your Travel Biz. The day previous, Delta Vacations offered an exclusive training event for 25+ TPI agents at Delta Headquarters. In true TPI fashion, we hosted a networking cocktail hour for attending staff, agents, and TPI-Preferred Suppliers later that evening. On the actual conference day, reps from Carnival Cruise Line, Royal Caribbean, OneALG, CSA Generali, and AIG Travel Guard took the stage and shared their knowledge and best advice on scaling a business. However, there were over 20 TPI-Preferred Suppliers at RYTB with booths set up. Nine of them participated in giveaways for the attending agents. Kirsten Sanchez, Carnival Cruise Lines rep, sitting down with agents. 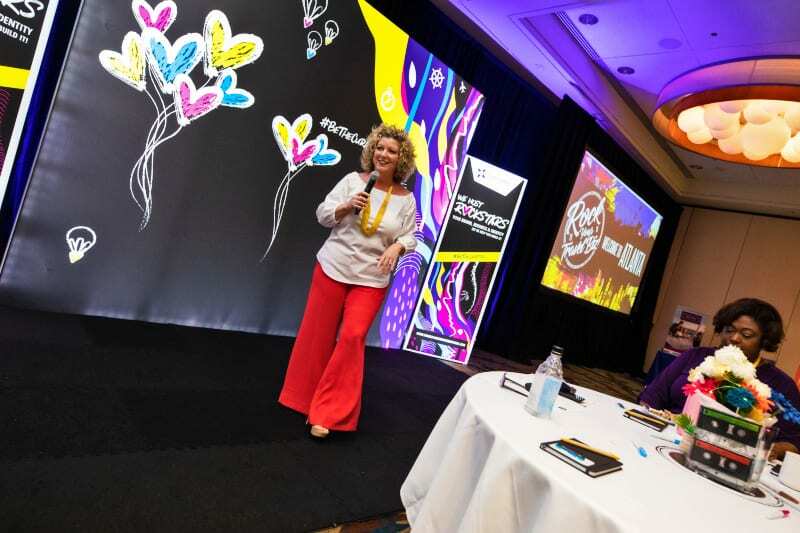 During the Atlanta stop, Lee announced a contest where TPI agents could enter the chance to win an all-expenses-paid trip to TPI Rocks for donating to Tourism Cares, our 2019 Signature Charity. The goal is to raise $15,000 by June 16th. 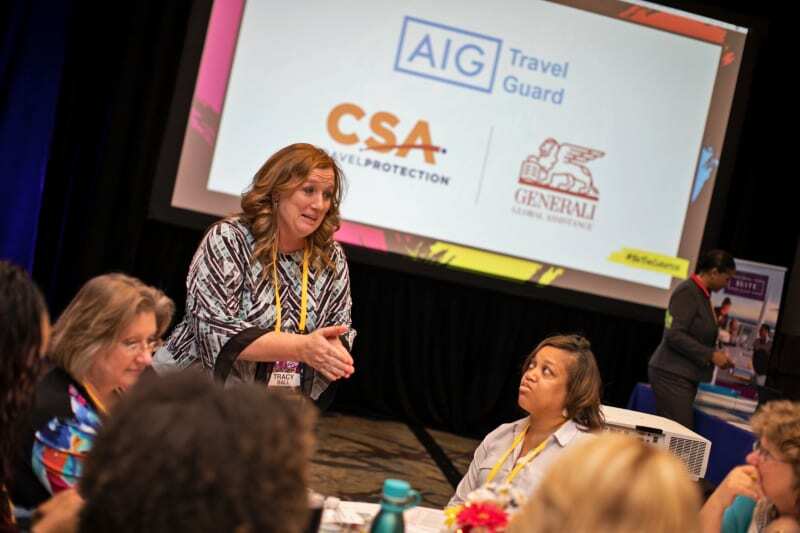 Tracy Ball, AIG Travel Guard rep, at Rock Your Travel Biz. We make our second RYTB stop in Las Vegas, NV on March 19th. We’ll host RYTB in Houston, TX (April 26th), Chicago, Il (May 3rd), and East Rutherford, NJ (June 8th). For more information on RYTB, visit rockyourtravelbiz.com.